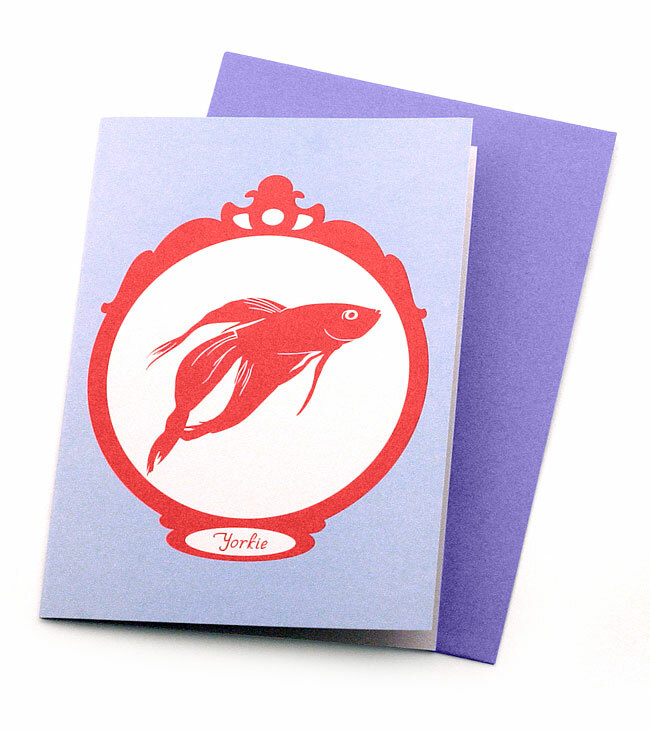 This greeting card features Yorkie the Siamese Fighting Fish, framed in silhouette. Yorkie is one of the much adored pets featured in the Family Portrait Series. The range is printed in vibrant 50s inspired colours. Professionally offset printed in Sydney onto 70% recycled paper stock, this card is accompanied by a purple C6 envelope and comes individually packaged in a clear plastic sleeve. It is blank inside for your own message. Actual card size is 150 x 107mm, C6 envelope measures 162 x 114mm.